An image of a mini digger similar to the one stolen. Police are appealing for information after a yellow Mustang 540 Skid Steer mini digger was stolen from Holton le Clay earlier this week. 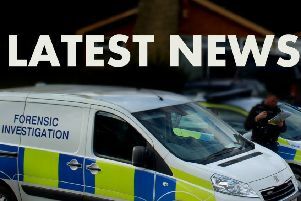 The theft occurred at the new building complex off Louth Road, Holton le Clay, at some point between 5.30pm on Tuesday (March 19) and 7am the following day. The offenders made attempts to remove two similar vehicles, but only one attempt was successful. The vehicle that uses a high number of revs to operate it, so it would have been very noisy as it was driven away. If anyone saw or heard anything unusual overnight, or has any CCTV covering this area, call Lincolnshire Police on 101, quoting incident 44 of March 20.